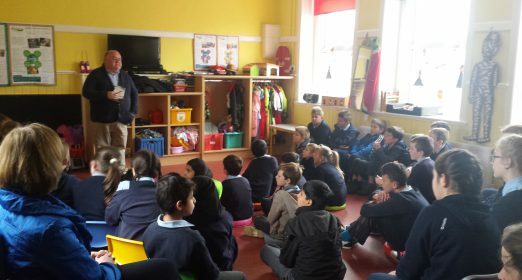 All children from 2nd-6th class visited the library for a story telling session last Thursday 15th October. 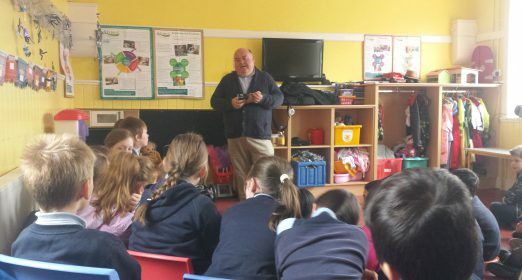 They met with Author Gerard Siggins who spoke to the children about the process of writing. 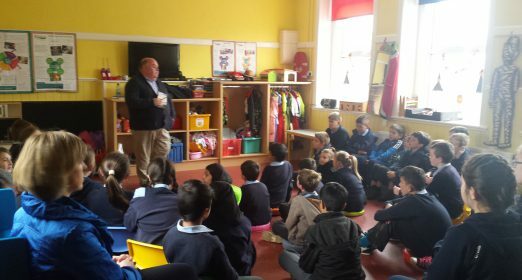 Gerard Siggins has written a number of children’s books including Rugby Spirit, Rugby Warrior and Rugby Rebel. 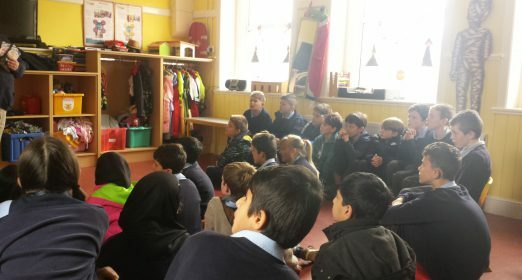 He spoke to the children about his children’s books and how he came up with the ideas for his stories.